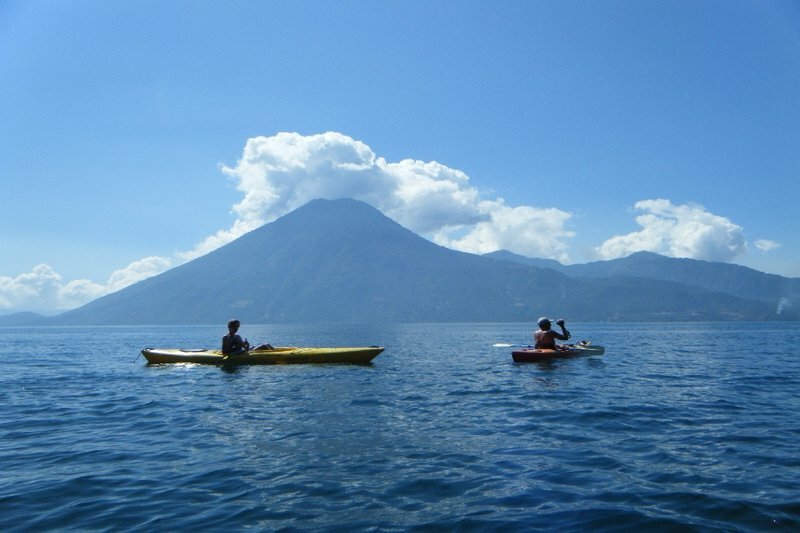 Relish seven days and nights along the tranquil shores of Lake Atitlan, “the place where the rainbow gets its colors,” in the highlands of Guatemala. Join Amberly and Nerissa on this physical and spiritual yoga retreat for a week of asana practice, introspection, and relaxation. Energize your body with the opportunity to take part in multiple daily yoga classes of different styles. We will be offering daily Vinyasa classes as well as the chance to practice more relaxing styles such as Yin and Restorative Yoga. You’ll even have the chance to practice Kundalini to energize not only your body but also to help you align and awaken your chakras. With opportunities throughout the week to strengthen and awaken your vitality in the mornings, there will be time to relax and recharge in the evenings. We’ll spend the week balancing the body’s Sun and Moon energies through yoga, meditation, and adventure to leave you in harmony with nature and in tune with the frequencies of your heart. Spend your days doing as much or as little as you like, all while enjoying homemade vegetarian meals and immersing yourself in the culture of the Maya in “the land of eternal spring.” Included in your tuition are an authentic Maya Shaman ceremony and a volunteer opportunity to give back to the local community with a Karma yoga service project. Reconnect with Mother Nature with opportunities for kayaking, hiking, visiting local villages, or a simple morning walk. Want to take it a bit easier? Spend the day relaxing by the pool. Feel the need to be pampered? A full-service spa and sauna are available to nourish tired muscles after long adventurous days. Set the intention to put down your phone, step away from the computer, and discover a community of new friends and a stronger, more balanced version of yourself.